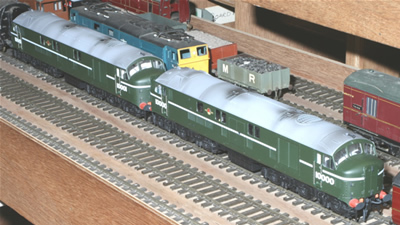 Mersey Division is our finescale (32mm gauge 29mm back to back) 0 gauge layout, occupying the upper floor at Dean Hall around the outside of Dewsbury Midland. There is one main station, Cornbrook, with a branch line currently under construction. The ruling minimum radius on curves is 6 feet. 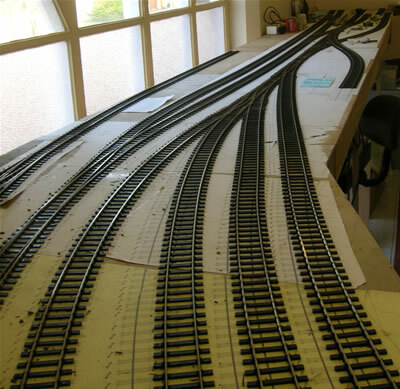 The layout has a long history with sections dating back over 30 years and consists of a continuous run with testing gradients. 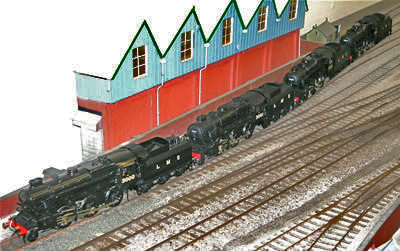 The layout is portable in that it is built in sections, however apart from dismantling for work in progress, making way for Dewsbury to exit the Hall for an exhibition and maybe building work etc, it is permanently erected. 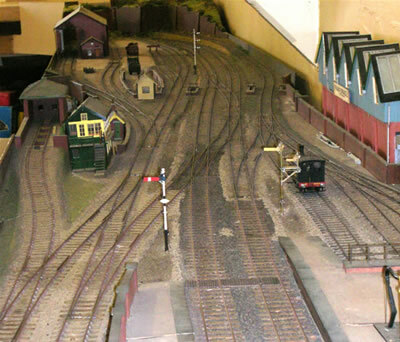 Whilst some parts of the layout are now quite old, a new terminus is being built to extend operational possibilities. 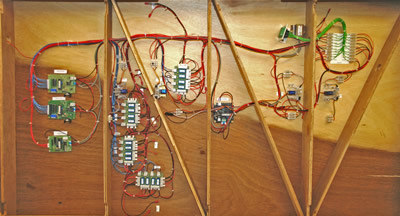 At present control is a version of “cab control” supplying 12v DC to the track with point control using a variety of methods over the years, mainly based on solenoids. However the new terminus is venturing into the latest technology with points and signals operated by servos all driven from a MERG (Model Electronic Railway Group) CBUS control system. Facilities are also being included for DCC, but for historical reasons this will be limited to the new terminus. 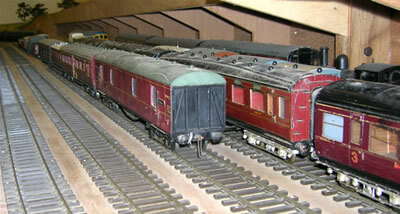 The intention was to have the scenery suitable for trains with a North Western flavour in the 1950/60s. In the outcome the scenery is limited largely to trackside and unfortunately now requires some TLC and maybe replacement. 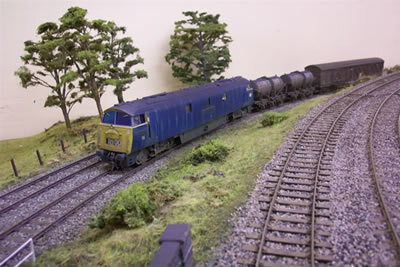 Any new members interested in this side of railway modelling will be most welcome. Visitors with suitable stock are always welcome and, with the track normally erected, are invited to have a run. The Group Leader is Les Fram and we usually meet on a Wednesday evening. 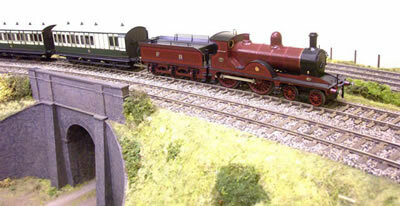 I’m not sure whose Furness 4-4-0 was visiting, but it and the coaches are beautiful models. 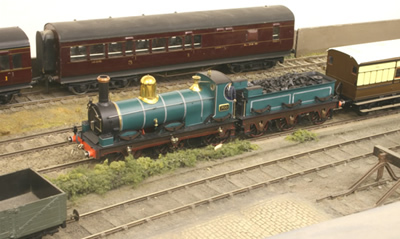 The Western diesel, cunningly painted different colours on different sides, belongs to Peter Radford. 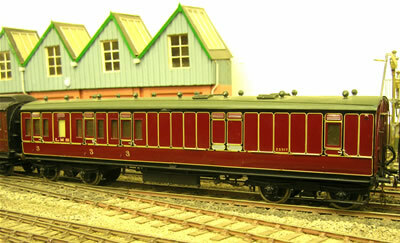 The fiddle yard has the branch line climbing above it to the new branch terminus. 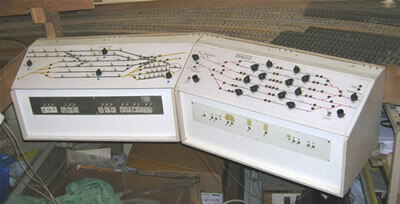 The Mersey Division control panels give a good impression of the storage space available, with the left hand panel controlling the fiddle yard and the right-hand one taking care of the loops off the main running lines. There is definitely only one person who knows how to fix this if it goes wrong. August 2010 running session. 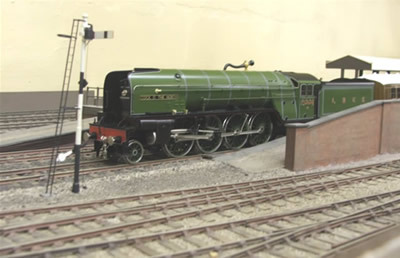 Tony Stoker’s award-winning Great Western 0-6-0 shows off its Wolverhampton livery. This blue/green was last used in 1902 so Tony reckons that no-one will be able to dispute his version of the colour. Photo by Wally Pugh. …and here, looking in the opposite direction, away from the station. 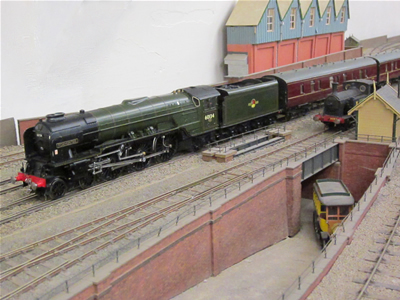 At the running session on 12th August, A1 number 60134 Foxhunter speeds through Cornbrook with an express train while the crew of the station pilot look on in admiration. The new Ashton station makes slow but steady progress and wiring is almost complete. 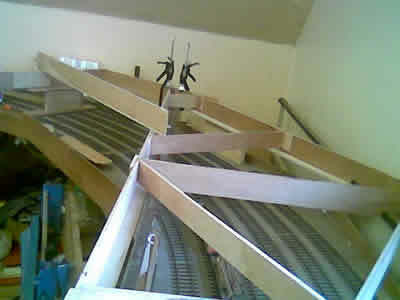 The photo shows the underside of one of the six baseboards which are being wired for both DC and DCC using the MERG CBUS system with MERG DCC. 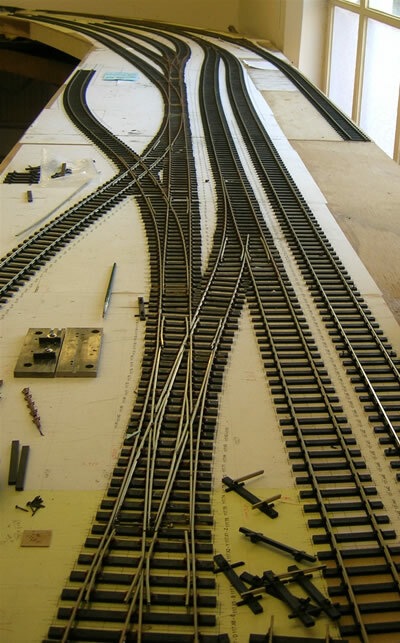 Unfortunately the DCC component will be limited to Ashton station while incompatibility issues are tackled. Oh and one last point – there are at least two people who will know how it works.